Having children in common with your spouse can make divorce proceedings trickier and more emotional. 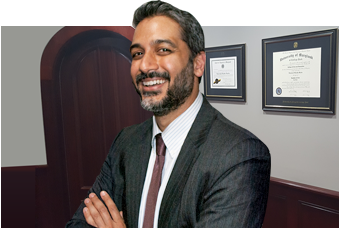 When you consult a child custody lawyer at a family law office in La Plata, discuss your goals for child custody. As long as your soon-to-be ex is a fit parent, your family lawyer may recommend that you consider a co-parenting arrangement. Co-parenting takes joint custody a step further. Having a co-parenting agreement with the other parent means that you both agree to set aside your differences (or at least hide your animosity) and work together for the best interests of the children. It’s entirely possible that you’ll harbor negative feelings toward your ex long after the divorce papers are signed. However, a co-parenting agreement will not be successful if you allow those feelings to get the better of you. It can be helpful to redefine your relationship with your ex. Perceive your new relationship with him or her as being business-like. Just as you would in an office, speak in a neutral manner with your ex and aim for conflict-free communication. Try to compromise and be cordial with your requests, whenever possible. For example, instead of demanding that your ex be consistent with household rules at his or her house, ask if he or she would be willing to try this type of scenario to avoid confusing the kids. Focus all communication with your ex on the needs of the kids, rather than on any personal matters between the two of you. In addition to keeping your feelings in check while you’re communicating with your ex, the same must apply to your conversations with the kids. It’s alright to let your kids see that you’re sad sometimes while the divorce is pending. However, you should never let them see that you’re angry at their other parent. This may make them feel as though they must choose sides. Instead, find a healthy way to express your emotions while you’re away from the kids. Even after your divorce attorney negotiates the child custody agreement, you’re likely to disagree about certain things with your ex, such as bedtimes and extracurricular activities. Maintain a polite tone of voice and consider compromising.